Start time: 4:05 p.m. TV/Radio: NESN / WEEI. Alex Cora said Dustin Pedroia texted him last night to congratulate him on his first ejection. 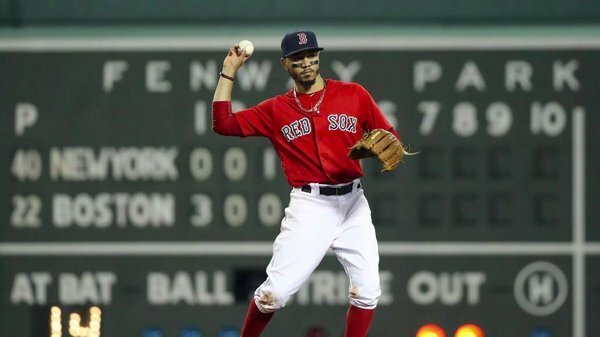 #RedSox : Betts RF, Benintendi LF, Moreland 1B, Martinez DH, Bogaerts SS, Núñez 3B, Holt 2B, León C, Bradley Jr. CF, and Eovaldi RHP. 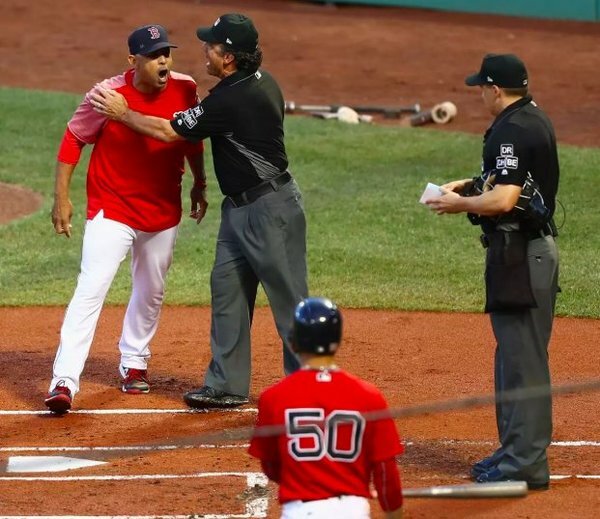 Before last night, Cora was pleased with himself for not having been ejected. Today, he took some solace as having been the last of the rookie managers to get tossed. Boobe has two and the others (Calloway Kapler, Martinez) have one. Boone has two and the others (Calloway Kapler, Martinez) have one. “That’s why I take my ground balls, just in case.” Why not put the best athlete on the field back to his old position? Red Sox called up catcher Dan Butler yesterday. His last MLB game was 9-28-14 at Fenway, Derek Jeter's last game. Ahh, memories . 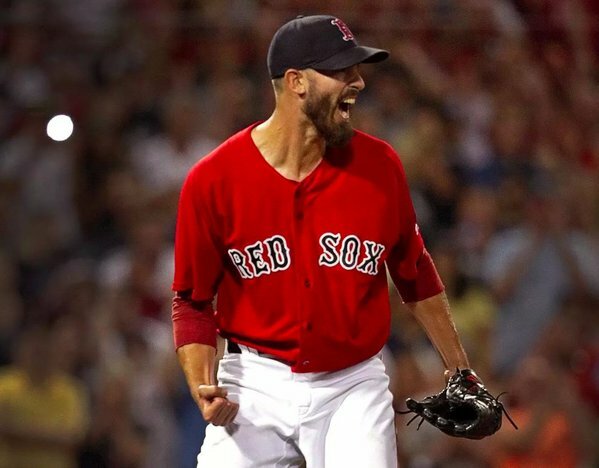 . .
Rick Porcello on his complete game last night against the Yankees: "I don’t know that I’ve been that fired up after a game. A complete game against that team? That was a fun night." Good look at here at how David Price has adjusted ahead of Sunday night's game against the Yankees. 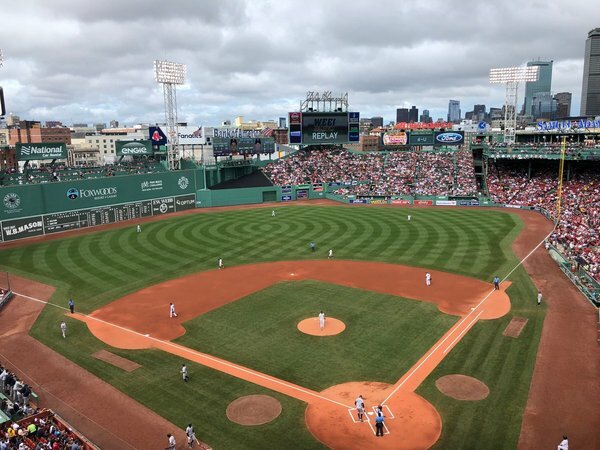 Movement throughout Red Sox minor league system continues: Starting RHPs Kutter Crawford and Denyi Reyes (122/13 K/BB) move up to High A Salem from Greenville. 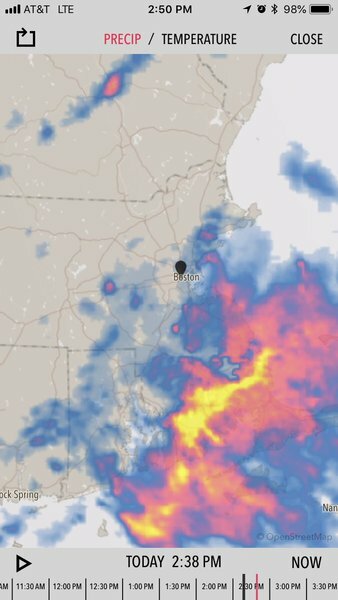 RHP Eduard Bazardo (up to 94-95 with potential plus curve) up to Greenville from Lowell. 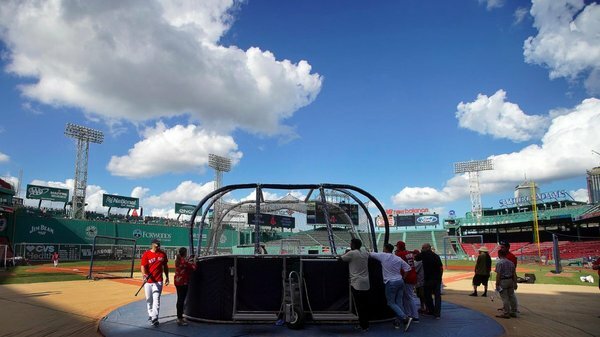 The #tarpaulin has been removed from the field at Fenway.
.@Globe_Tara : From dugout to ejection took about five seconds. Five seconds these Red Sox won’t soon forget. 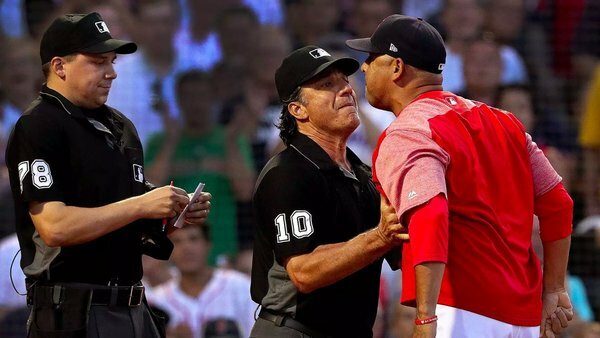 Alex Cora made the loudest statement of all last night, standing up for his best player, sticking up for his team, and sticking it to the Yankees. The Red Sox were a playoff team last year. They were 62-49 through 111 games. They are 15 games better than that through the same checkpoint this year, and own a 7.5 game AL East lead as they prepare to face Yankees rookie Chance Adams on Saturday. Eovaldi loves the cutter to lefties. They were hitting .182 against it entering today. He breaks Gardner's bat with it to open the game. The odds weren't good for Chance. 2-0 #RedSox after three hitters. Moreland with the home run. Moreland and Pearce have 5 combined homers for the Sox in 3 games vs NY. Adams had a somewhat modest 19.9 percent K rate vs lefties in Triple A this year, when some observers thought his stuff had gone backwards from 2017. Will be interesting to see how Red Sox lefties handle him. A Benintendi single and Moreland 2R-HR in the first begins an answer. Eovaldi walks Hicks to open the 2nd, the first walk he's allowed as a member of the Red Sox. Bogaerts goes 6-3 on the DP. Eovaldi has already used his cutter for a broken-bat flare, a DP, and for swing-and-miss. His nearly 30% usage of it this year (after barely showing it pre-2018) has been at the heart of his success this season. "It’s OK to check [social media]. Just can’t let it consume you." Chance Adams has retired 8 straight since the Moreland HR. Some good contact but he's keeping the Yankees in it. Just Dingers No. 33 and it's 3-0. Sox have outscored the Yankees 22-8 in the series. Martinez's homer ended a 5-game streak without a homer at Fenway - his second-longest of the year. He's now reached base by hit or walk in 48 straight home games. 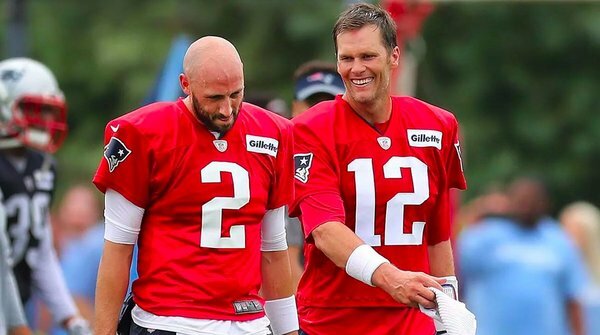 Brian Hoyer has grown to embrace training camp, stacking the years together as he builds his body and his body of knowledge. 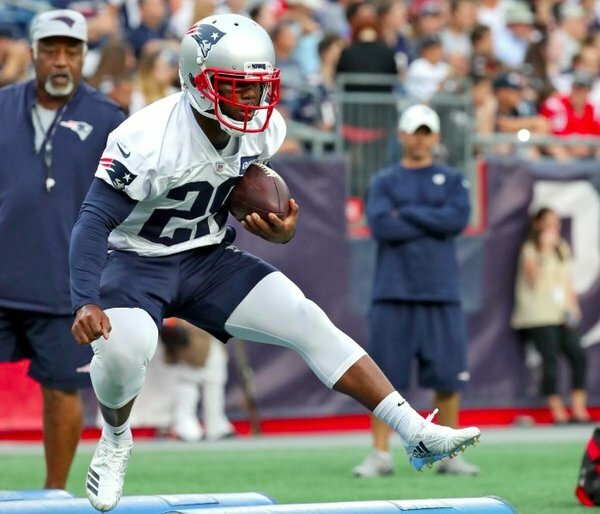 "Take advantage of the grind of training camp, all the reps you’re going to get, and learn from every single one of them." 1 run for the Yankees in the last 14 innings and Red Sox pitchers have thrown 136 pitches. Despite the 2 homers and 3 runs, the Yankees have to be thrilled with what they've gotten from Adams through 5 innings in his debut. In the first inning, it looked like he might not last, which would have left their bullpen in shambles. Eovaldi, after 7 scoreless in his debut, has thrown zeroes through 6 innings today. 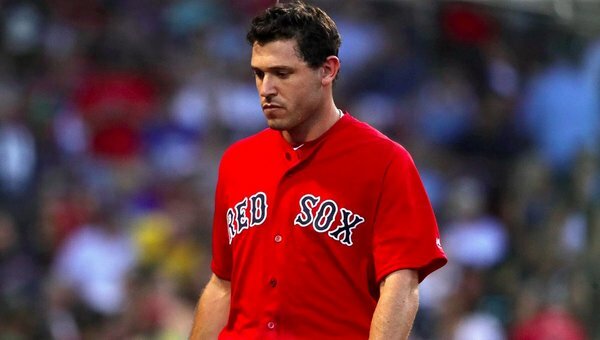 Last Sox pitcher with back-to-back starts of 6+ shutout innings at the outset of his Sox career: Vaughn Eshelman in 1995. Eshelman passed away this week.